Editor’s note: I am off on my honeymoon and have some amazing guest posts lined up for you guys. 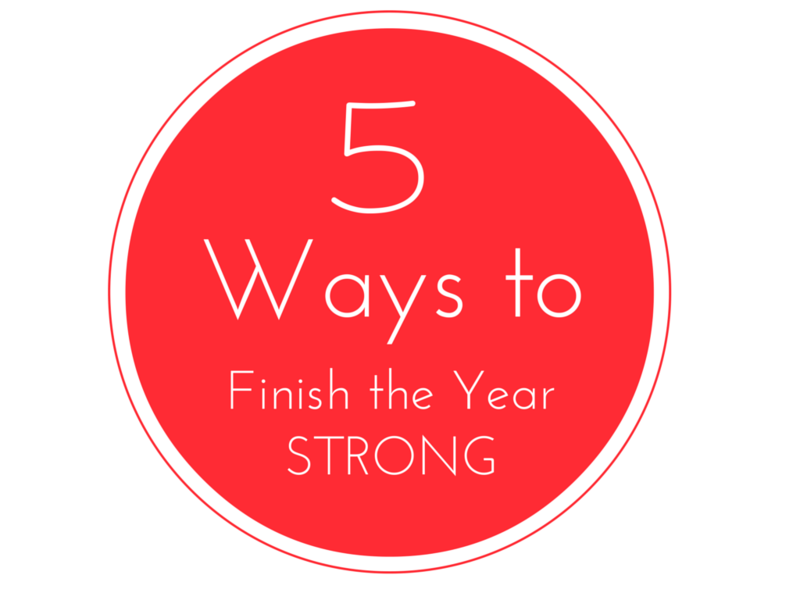 Today, Stephanie from Team Fit Mommy is sharing 5 Tips to finish the year strong and get a fresh start in 2015. Enjoy and make sure to visit Stephanie over at her blog! This is the time of the year when we begin looking forward to a new year. The holidays are upon us and we are busy with holiday shopping and holiday eating. Family gatherings and work place parties fill up our schedules. It’s very easy to put our healthy eating and workouts aside until the New Year. It is tempting to go overboard. 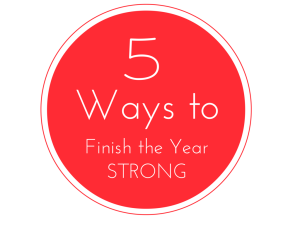 These five tips will help you end the year strong and have a fresh start in the New Year! Set a Goal: Set a realistic goal for the next few weeks. We are talking short term goal planning that will be your spring board into the New Year. If you are trying to lose weight, one to two pounds per week may be realistic but remember that this time of year is full of holiday treats. Don’t set yourself up for disappointment. Know what you will and will not do. Small weekly goals may be the best way to end the year strong. Something like running a certain amount of miles per day or per week or taking a certain number of steps per day can easily keep you on track. This leads us to the next point. Plan Your Workouts: Putting your workouts on your calendar makes them a priority. Decide what you are going to do, when you are going to do it, and then GO DO IT! Strategize for Eating Out: Planning for times that you will be at holiday parties or at the mall will help you stay focused and on track. Prepare snacks for yourself and your kids, so that you won’t be tempted to buy fast food at the food court. Healthy snacks like carrots and raisins and apples travel well and are filling. If you have a ton of holiday parties to attend, you may want to eat a small meal before you go so that you don’t overeat. If you are attending a sit down holiday dinner, make the best choices possible of the foods that are available. Drink lots of water. Enjoy Your Family: Have your family plan and help cook meals over the next few weeks. Winter can be a great time to get outdoors and enjoy family time. Go for a hike, sledding, skiing or snow tubing. Then come back inside and warm up with some warm apple cider. When the weather does not allow for outdoor activities, keep active by playing some active games. Small children love playing games like Simon Says and older kids will gladly stay active if you challenge them to a game on the Wii. The idea is to keep moving together so that you don’t lose your momentum. Don’t Sweat the Small Stuff: If you have set a goal, planned your workouts, strategized, and things don’t go as planned, find a way to laugh anyway. Life is too short to be overwhelmed by things that we have little control over. Enjoy each moment and the people you are surrounded by, you will be less stressed. If we eat a piece of pie or miss a workout it is not the end of the world. After all, this time of year is about faith, family and friends. What fun ways do you plan to stay on track throughout the holidays? 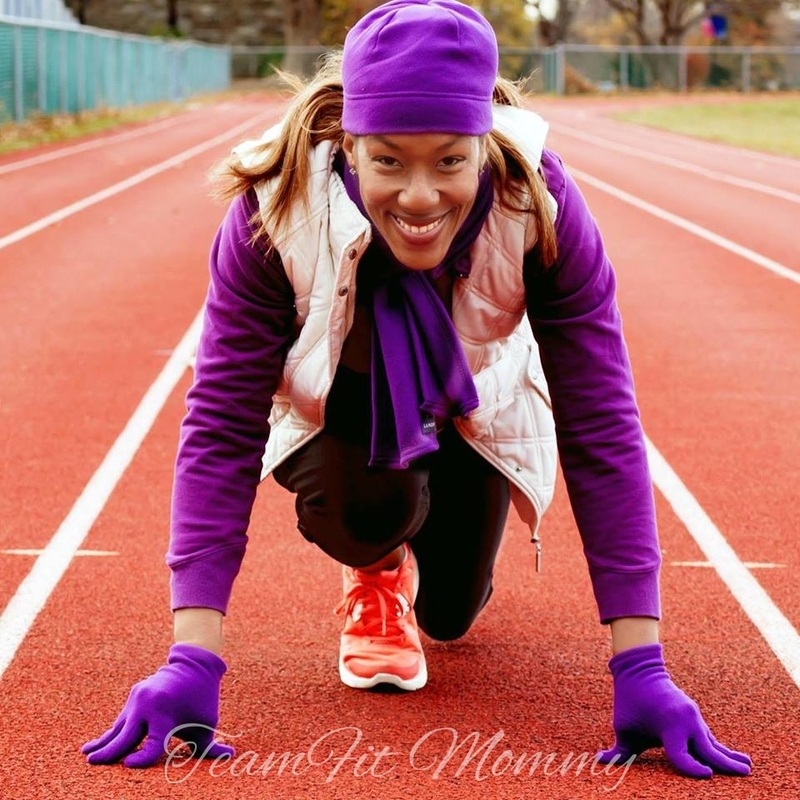 Stephanie, the Founder and Editor at Team Fit Mommy, is a wife, a mom of two preschoolers, a fitness enthusiast, a runner, a blogger and a former high school history teacher. She combines her love of her faith, family, fitness, food and fun in her writing at Team Fit Mommy. You can follow her on social media on Facebook, Twitter, Pinterest and Instagram. Thanks Kerri! I think we all need this at this time of year! gREAT TIPS!! i CAN’T BELIEVE THE YEAR IS ALMOST OVER ALREADY! I Know! This year has flown by and parts of it I’m glad to see go… But I am so happy that I connected with you lovely ladies this year! Great tips! “Don’t sweat the small stuff” is always a huge motto in my life! I may be crazy, but I’m really looking forward to going sledding in the snow and shovelling – I love winter!